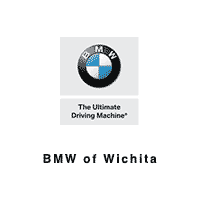 Talk To The BMW Finance Experts At BMW of Wichita! Whether you’re paying for your car in full, taking out a loan or exploring lease options, the professionals at our BMW dealership in Wichita, KS, are here to assist you. Our goal is to make the car-buying or leasing process a simple one, and an experience you can thoroughly enjoy. To do that, our BMW finance team will be available every step of the way to answer your pressing questions and ensure everything goes smoothly. If you’re not sure if buying or leasing is best for you, we’ll be happy to sit down with you to discuss the benefits of each. We want you to be fully confident with whatever purchase it is you’re making! BMW of Wichita has a wide range of BMW finance specials available to you as well, making your visit even more worthwhile. We know your time and money are valuable resources, so we’re going to make the most of them for you. Start shopping our BMW inventory now and get started with the financial process to ensure you’re driving a stunning new BMW in no time!